In a perfect world, there would be more than enough bathrooms for all the members of a family. Unfortunately, many homeowners have to make do with just one. If this is your current situation, then don’t worry. In today’s article, DreamMaker Bath & Kitchen of Southern Lakes, an expert in small bathroom makeovers, offers tips to help you get the most out of a single bathroom. The right bathroom upgrades and layout can make a tiny bathroom feel more spacious, luxurious and elegant. 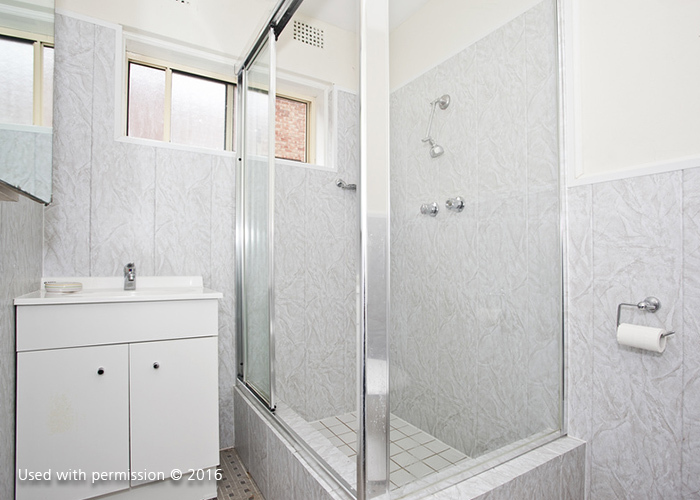 Investing in your bathroom is one of the most important things you can do to improve your home. During your remodel, consider optimizing the layout, adding plenty of storage and improving your bathroom’s lighting. A well-lit bathroom looks more appealing and is easier to use. The less time one individual spends in the bathroom, the more bathroom time there is for the rest of the family. Place mirrors outside of the bathroom so people have another place they can use to fix their hair, and place some storage baskets or bins outside of the bathroom. Use the bins to store typical bathroom stuff so that everyone has access to it without having to spend time in the bathroom. You may want to work out a schedule with your family of who gets to use the bathroom at what time. Stagger the times so that everyone has the chance to prepare for their day. Encourage family members to take showers in the evening instead of the morning to avoid a bathroom traffic jam. To keep things fair, you can also schedule bathroom cleaning times. DreamMaker Bath & Kitchen of Southern Lakes is the bathroom remodeling company you can trust if you want to upgrade your small bathroom and make the best use of your available space. We have many years of experience and we have worked on all kinds of homes. Our design experts can optimize your bathroom layout and make your bathroom as beautiful and functional as it can be! Call us at (262) 923-8721 to learn more about our services and products or to request a consultation.